ADAM LALLANA has signed for Liverpool from Southampton as the Reds continue to add new faces to the squad that finished second in last season’s Premier League. Lallana is the second of those new faces to come from Southampton, joining former Saints team-mate Rickie Lambert who signed before the World Cup. The 26-year-old expressed his gratitude to his old club, where he began as a schoolboy, but was eager to get this new stage of his life underway: “I’d like to thank everyone at Southampton for what they have done for me,” he told LFCTV, “I’ve been there for the best part of 14 years. It’s vital for the Reds to increase the depth of the squad with quality signings – at times last season the 11 on the pitch were just about the last 11 experienced players available and that was despite it being season with very few games compared to the one ahead. Injuries and suspensions – even without taking Luis Suarez into account – will take their toll far more next season, because Liverpool are back in the hunt for Ol’ Big Ears. As for the immediate future, Lallana feels he’s moving to a side that has much in common with the one he’s leaving behind: “People have said to me that there are similarities in the way Southampton and Liverpool play their football, and I hope that enables me to settle that much easier. 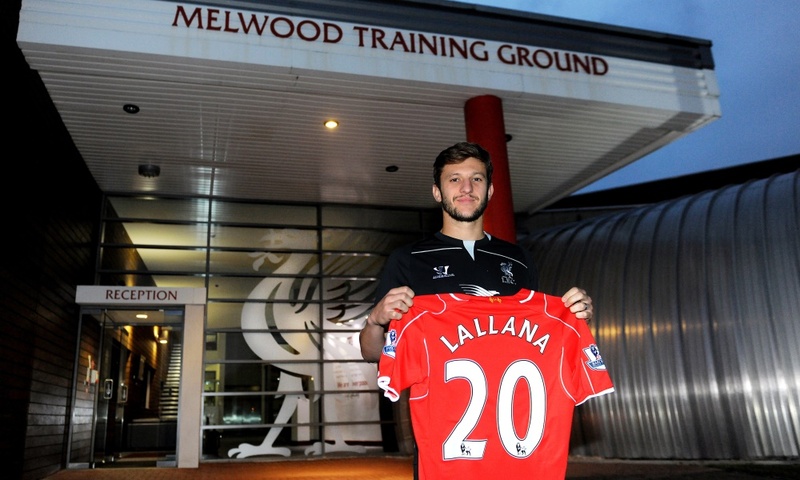 Lallana will wear the number 20 shirt, available after the departure of Aly Cisshoko following his year-long loan. It’s the number he wore as captain at St Mary’s, once worn at Anfield by Javier Mascherano. The deal to bring Emre Can to Anfield should be complete within the next 24 hours.